Decide If It’s Right for Your Business- Before you invest time and effort into creating a Pinterest account and formatting pins, you have to make sure your business is compatible with this new social media craze. Pinterest is all about visuals and things that look good; can your business be promoted through pictures alone? Is your product visually appealing so that you can connect with the proper demographic? Before you put manpower into building your presence on Pinterest, asses how well your product will be viewed by users, and if it will in fact make you money. Spend the Time- Before you jump right into pinning and hoping for re-pins, you should really focus on planning and taking the time to set up your account properly. Think about what you will be using Pinterest for, and create the name and logo that fits with what you’re trying to accomplish. Include keywords in your description, and include links to your website, as well as other social media sites, on your profile. If you have an online blog, or other social media profiles, install a “Pin It” and “Follow Me” button to engage customers. Create Simple Content- Pinterest is great because of its incredibly easy interface that pretty much anyone can use. The aesthetics of the website are clean and simple, with pictures that are all mostly the same size. Make sure you are creating content that is unique to Pinterst, so customers can’t find the same exact thing on Twitter or Facebook, and be sure to use interesting, recognizable and clear images with a simple description, and link back to your website. 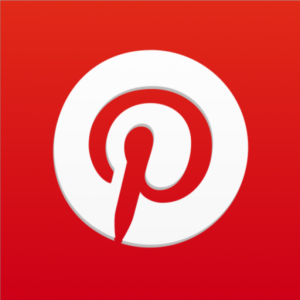 Eye popping photos and dynamic shapes will spark interest in Pinterest users and potential customers. Know What Your Customers Want- If you have done research and have asses the type of customers you want to attract with your Pinterest account, you must then create pins and boards that will appeal to them. A lot of Pinterest users go on the site to either find ways to spend less money on certain products, or find interesting things that appeal to them. Create content, and re-pin other content that will appeal to the lifestyle and general needs of your customers. Tell a story in each board, and promote your product subtly through your content. Rather than just promoting your brand by pinning your own products, show your customers that you understand them and can reach them by categorizing certain pins and boards into categories that they would like and can use. Be a Social Member of the Pinterest Community- Avoid posting pins that only have to with your own product or brand. Don’t come off as a self-serving Pinterest user, but rather re-pin other pins, comment and like other pins, track re-pins from your site, say thank-you for re-pins of your own items, follow other users, and continue to engage in the social media community you build. You can also take a look at the most re-pinned and visited Pinterest members, and learn what they’re doing right. Showcase the lifestyle behind your business by pinning things that interest you, as well as pinning things from other businesses in your industry. Promote Creatively- Aside from choosing interesting images, and writing informational and amusing content, there are plenty of ways that you can use Pinterest to be creative in promoting your business. You can use a call to action or even promote a competition to engage users and customers. You can then encourage others on Pinterest to write back on your pins or post about your products and calls to action. Being different and unique on Pinterest will gain enthusiastic customers as well as allow you to become a well known user. Increase Traffic and SEO- You will want to make sure you are getting a good amount of traffic to your sites through Pinterest. Including URL links on your pins and boards, will allow interested users and potential customers to stay in contact with your business. Make sure you set up pins so that you are using good keywords, searchable phrases, informational captions and categories. You will want to get a good amount of traffic to your site through using Pinterest, as well as promoting a certain action for them one they get there. Use Tools and Measure Activity- There are so many ways that you can promote your business in a variety of ways, including smartphone apps, content manager sites and design templates. Research these resources that can generate added customers and content. Utilize everything at your disposal, so that you can conduct business and supervise your Pinterest site in a variety of different ways. You will certainly want to keep track of what your effort on Pinterest is doing for your business so you can make changes, or keep doing the things you are doing right. To do this, track recent activity, check your website Google analytics, and research the different accounts, boards and pins that do well on the site.